Parallels Workstation is the powerful, easiest-to-use, cost-effective desktop virtualization solution available today. It empowers any user to create completely networked, totally secure independent, maximally stable virtual machines on a single physical machine. 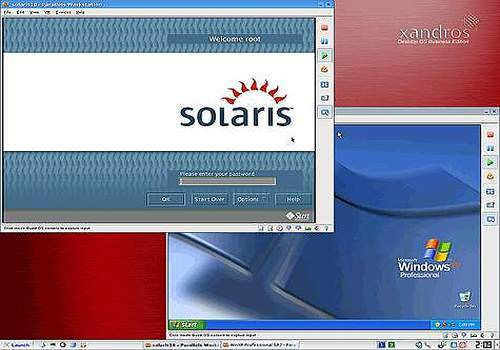 Virtual machines can run nearly any OS, including Windows XP/2003/Vista, Linux, FreeBSD, OS/2, eComStation, Sun Solaris and MS-DOS. The product is available at the low price of $49.99.